Saturday 2nd October saw the UK’s first SharePoint Saturday event organised by Brett Lonsdale of Lightning Tools, Mark Mcrae and Tony Pounder of Intelligent Decisioning Ltd.
From the outset this event looked on paper to be an excellent collection of the SharePoint community’s speakers with special trips from the US by Mark Miller of EUSP fame and Joel Oleson. Best of all this event is FREE! I was lucky enough to secure one of the five speaking slots on the Development track for the event. 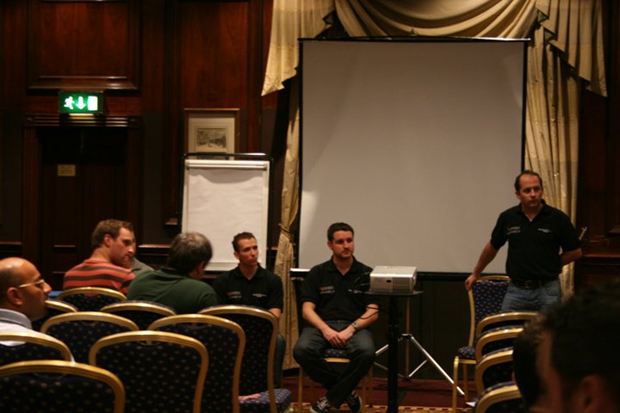 After weeks of prepping and co-ordinating topics with other dev track speakers the agenda lined up to give a solid flavour of SharePoint 2010 development. 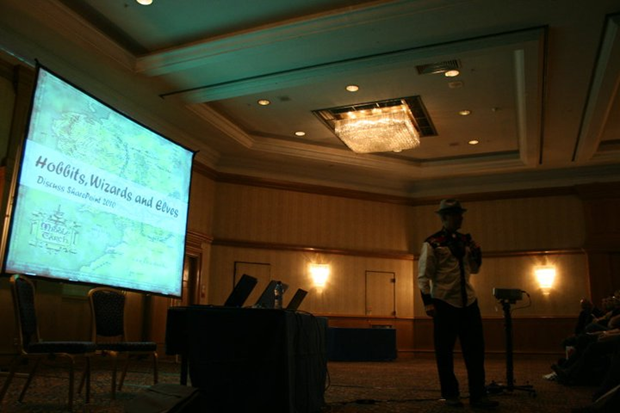 Mark Miller opened proceedings with his ‘Hobbits, Wizards and Elves’. Taking a trip through middle earth Mark introduced the key people in the SharePoint community in various areas from UI to development. With a live video from Laura Rodgers (not a developer) @wonderlaura for those with Twitter. Following Mark came Joel, with some videos from YouTube trying to express the complex nature of the job we do. Canvassing opinion not everyone seemed to get what Joel was trying to say with the videos. My interpretation was that working in SharePoint was complex and often blurred the lines between traditional job role boundaries. The juggling metaphor indicating keeping many ideas, tasks in your mind while building upon SharePoint. The guy running on water I think was a little cheeky reference to believe in what you do, changing organisations ways of working. First up was Andrew Woodward presenting Automated UI testing. Andrew is a keen advocate of test driven development and testing techniques for SharePoint and Non-SharePoint projects. He ran through the difficulty in test driven development SharePoint projects. He observed the commerical benefit is felt only when cost of implementing these time consuming techniques out weighs the cost benefits. So to get testing in a SP2010 space he focused on Automated UI testing. This click and record process within Visual Studio Ultimate (we don’t have this on all dev images) allows testing of the UI. While slightly more brittle than a unit test it would quickly add value to a project quality marker. One final observation was that the best place to capture defects was with the requirements. Same old sentiment… just because you can doesn’t mean you should!! Chris introduced us to jQuery and AJAX techniques for taking a basic UI kicking and screaming into this century. The info in Chris’s session was super useful. I’m not very familiar with this area of front end development from an implementation point of view, usually relying on one of the more talented dev’s at C+C to implement my design. Following this session I think even I might start giving it a go. Chris boiled down the techniques into four or five core techniques. Andrew presented his second session of the day. This time focused on Sandbox solutions. Not the development details and code required, for that make sure to attend Martin’s up coming SUGUK event. Andrew introduced the benefits of governance for an organisation using Sandbox solutions. The ability to react and adapt to business challenges without needing a development project run by central IT. The cost benefits of buying off the shelf apps (his own company sell 21Scrum). So what’s missing now…. well MS are missing a massive part of the SandBox offering…. the all singing AppStore! So not everyone agrees on Sandbox or no Sandbox, personally i sit firmly in the SandBox camp. It has massive potential for on-premise and BPOS application. Due to my session being next I skipped most of this session to prepare. So most people by now know I’m part of a community project enhancing the Visual Studio 2010 SharePoint tools. My session covered the current version of the tools. Going over the life story of SharePoint development from WSPBuilder to the new VS2010 tools and how CKSDev fits in the picture. Tempting fate I chose to build a WCM project on the fly during the session. Importing fields, content types, creating a masterpage, page layouts for the content types and finally a global branding element in under 30 mins. Yes folks it really is that quick to get the basics plummed up and deployable. 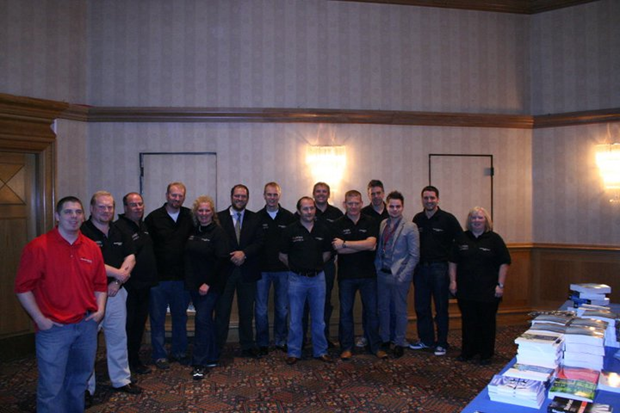 The panel included Chris, Andrew, Paul Swider and myself. 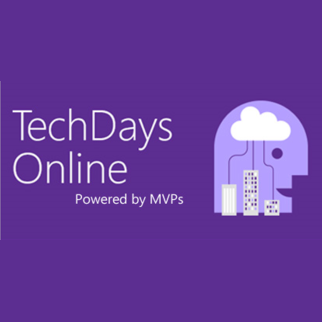 We fielded a variety of questions about SharePoint development. Some even about iPad and tricks for getting it to work. It was a great experience speaking and being part of such a well organised and information rich event. 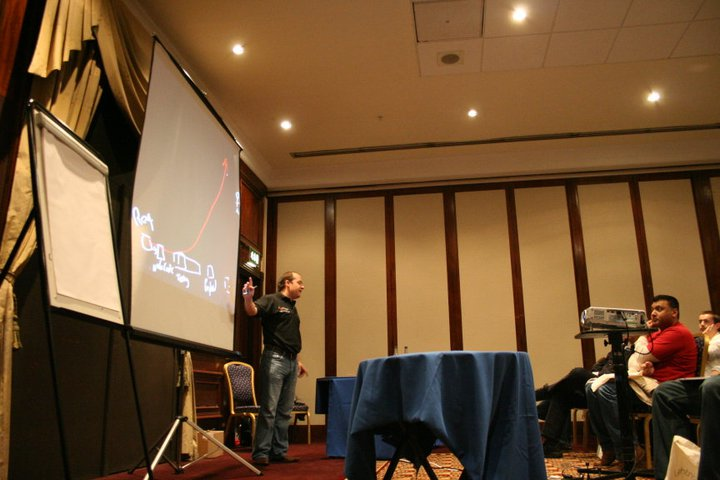 I would recommend attending if you didn’t get opportunity to attend the SPEvo conference. And one last amusement of the day was the punter who missed out on the iPad top giveaway prize by leaving early!!! Gotta be in it to win it. 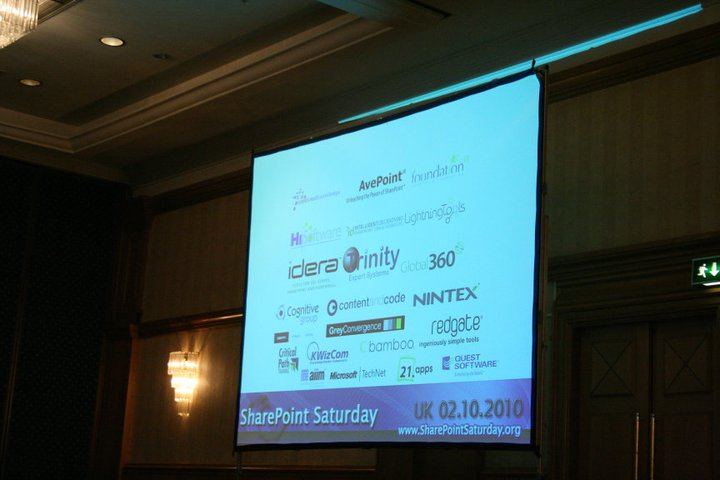 Event photos borrow from Intelligent Decisioning Ltd, a Nottingham based Microsoft Gold Partner SharePoint CRM/Workflow solutions company and one of the organisers of the event.